The Oppo R7 Plus runs Android 5.0 Lollipop . The device has a 6-inch Full HD screen with a pixel density of 373 PPI. The smartphone has a 13MP rear camera with LED flash and an 8MP front camera. It is powered by a octa-core 1.9 GHz processor paired with 3GB RAM. It has 32GB internal storage with no scope for further expansion. Connectivity options include LTE, Wi-Fi 802.11 a/b/g/n, Wi-Fi Direct, Bluetooth 4.0 and microUSB 2.0. The smartphone is powered by a non-removable Li-Po 4,100mAh battery. Latest variants of this phone are Oppo R9, Oppo R9 Plus and Oppo R15 Pro. Oppo R7 Plus Price starts at Rs. 32,690. 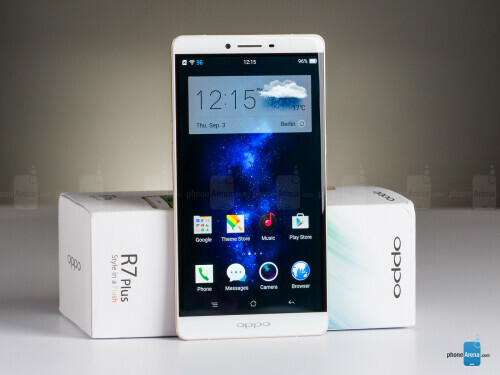 The Oppo R7 Plus is an upgraded version of the Oppo R7, with a bigger screen size, and an upgraded version of the Android OS, a larger internal storage space, and a more attractive design. The Oppo R7 Plus is available in two colors - Golden and Silver and is priced in the mid-range segment. This device boasts of an enormous 6-inch AMOLED capacitive touchscreen display screen, with a 76.6% screen-to-body ratio. With a resolution of 1080x1920 pixels, the display gives sharp clarity. The screen is also protected by Corning s Gorilla Glass 3 technology which offers scratch resistance. The Oppo R7 is powered by a 1.5GHz quad-core A-53 Qualcomm MSM8939 Snapdragon 615 processor and a 3GB RAM, which offers fast performance. The device runs on the Android 5.1 Lollipop OS. It also has an Adreno 405 GPU which ensures that you can game without facing any lags or interruptions. The device provides you with ample 32GB internal storage space which can be further extended using a microSD card till up to 128 GB. 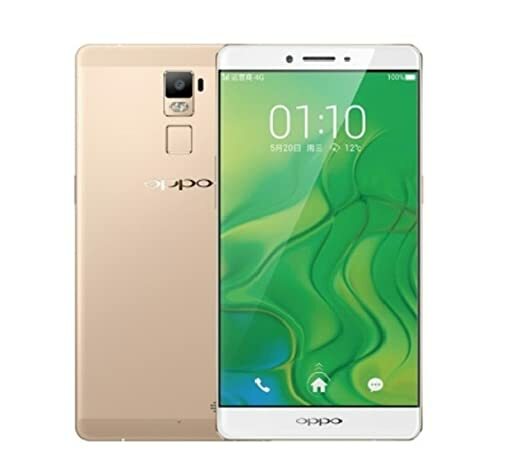 The Oppo R7 Plus comes with a 13-megapixel camera and has the Schneider-Kreuznach optics with a dual-LED flash and a laser autofocus. There is also an 8-megapixel secondary camera which allows you to take high quality selfies as well as make video calls. You could also record high definition videos at 1080p at 30fps. In terms of network connectivity, the Oppo R7 offers you several options such as Wi-Fi 802.11 a/b/g/n/ac, Bluetooth 4.0, GPS and microUSB 2.0 port. The device packs a powerful non-removable Li-Po 4,100 mAh that can last long because of the huge capacity. There is also a VOOC fast battery charging option with which you can charge up to 75% in 30 minutes, which is faster than smartphones that use Qualcomm's Quick Charge 2.0 technology. How is the battery backup and performance of this phone? It is ultimate. If you work for a whole day on full load, i.e. with 2 SIMs on 4G network, even then due to its flash charging feature you will be able to charge the battery to 90% within just one hour. It's awesome when it comes to the battery, and it charges very quick in just one hr and lasts for more than 10 hrs. It is a wonderful phone. No other Oppo phone can beat this phone. No more questions, just take this phone. Good battery because it was first phone from the house of Oppo with 3500 mAh battery. Superb battery life, 1.5 days. Aan run with regular use. And performance is best. Does it support dual 4G or 4G+3G network connectivity? Yes, it supports 4G but not VoLTE. It has 4G+3G network connectivity. Yes, surely it will support. Will it work in the United Kingdom?